OPEN HOUSE CANCELED!!! 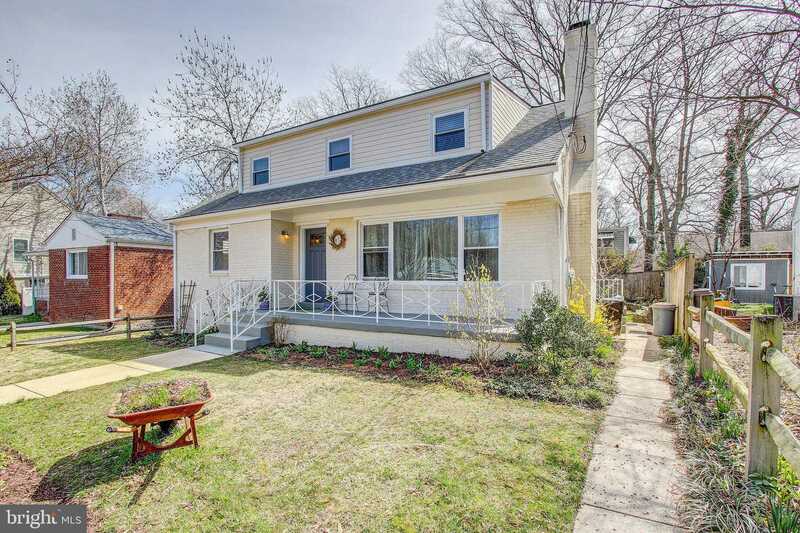 Chic, open mid-century Cape Cod home features generous room sizes, modernity throughout – bright renovated kitchen w/ glass tile accents, big bedrooms on main and upper levels, updated baths, vintage touches. Lovingly landscaped gardens feature a plethora of native plantings for a vibrant yard through 3 seasons. Lower level dedicated for recreation – or whatever you see fit! All just steps to recently renovated Colby Avenue neighborhood park, Sligo Creek park and trail, shops, restaurants and transit!